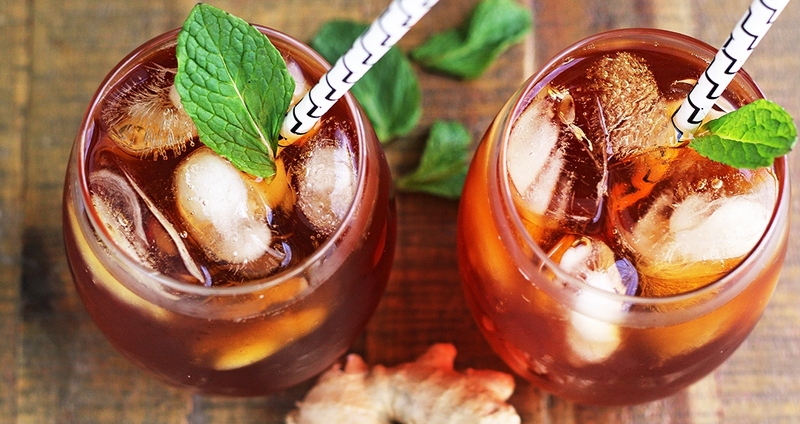 It’s easy to stay hydrated and take better care of your body this summer with this anti-inflammatory iced tea. Its base is rooibos tea, which is a naturally sweet, caffeine-free tea from South Africa that is full of antioxidants. Feel free to substitute green tea or another favorite variety. This recipe can also be made ahead of time and kept in the refrigerator for a refreshing drink! Add water, ginger root, turmeric and rooibos tea to a small pot over medium-high heat. Bring to a boil, then lower heat and let simmer, covered, for 5 minutes. Pour through a fine mesh strainer or cheesecloth to strain out the ginger and tea. Pour over ice and add a sweetener of choice if desired. Enjoy!